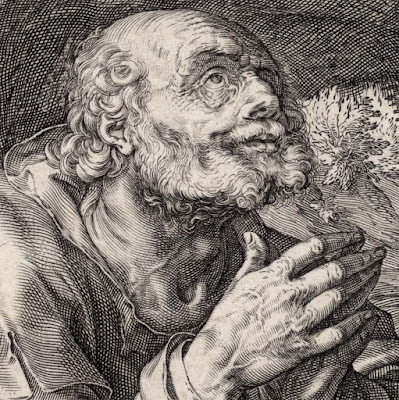 Plate 1 from the series of fourteen small plates: “Christ, the Twelve Apostles and Paul” (see New Hollstein 35-48). 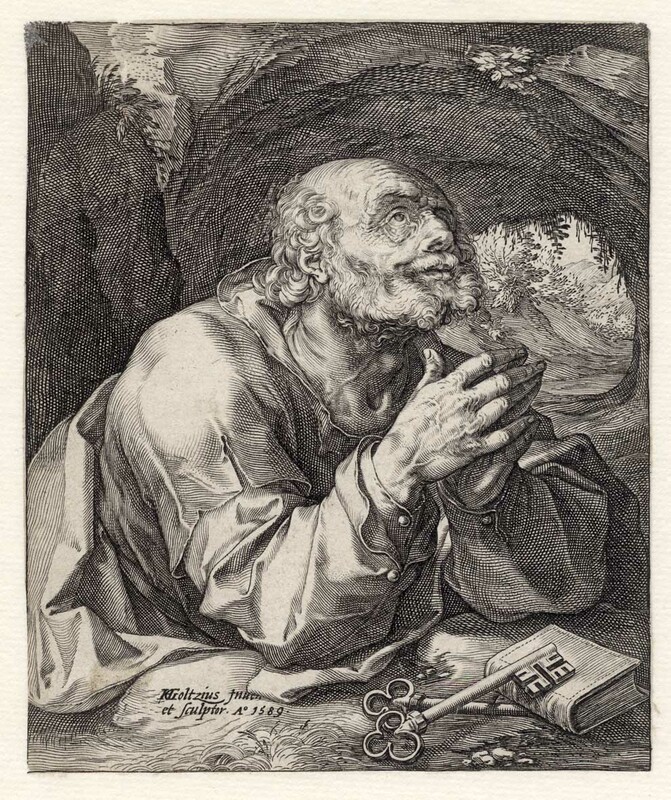 Engraving on fine laid paper trimmed to the image borderline and without the lines of text. 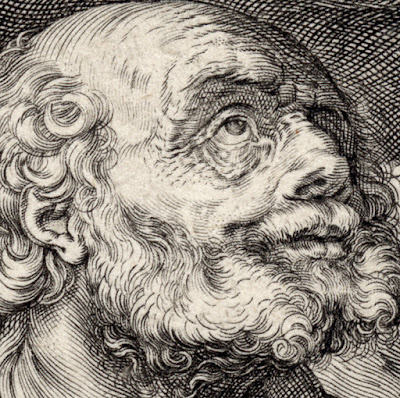 Inscribed (towards the lower-left corner): "HGoltzius inuen / et sculptor A.o 1589"
The state of the impression is unknown as the text lines are missing which would have revealed this information (e.g. 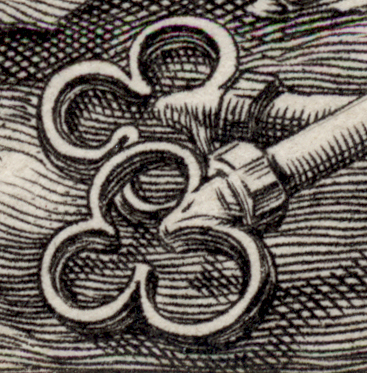 state iii has two sets of numbers within the text box). Nevertheless, as this is such a crisp impression showing very little wear it is more than likely to be a lifetime impression. Condition: strong and crisp impression, cut above the text lines and lined onto a conservator’s support sheet. There is a small loss with restoration at the upper-left and upper-right corners. I am selling this famous and original Goltzius engraving for the total cost of AU$268 (currently US$195.64/EUR187.44/GBP156.78 at the time of this listing) including postage and handling to anywhere in the world. If you are interested in purchasing this marvellously crisp impression of St Peter with his keys to Heaven, please contact me (oz_jim@printsandprinciples.com) and I will send you a PayPal invoice to make the payment easy. 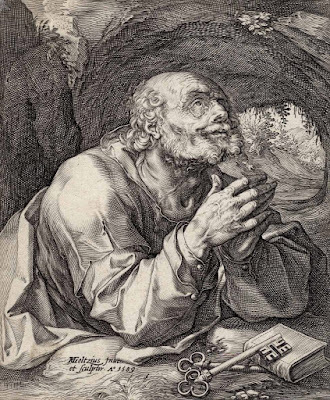 The gift that Goltzius bequeathed to the world is his famous “dotted lozenge” (i.e. a drawing technique whereby a dot is placed in the diamond/lozenge shape created between cross-hatched lines). This simple technique gave generations of illustrators a subtle way to render tonal gradations so that shading from light to dark could be portrayed almost seamlessly. When I look at an engraving like this (and the small size of the print needs to be taken into account) I am in awe of the skill displayed. 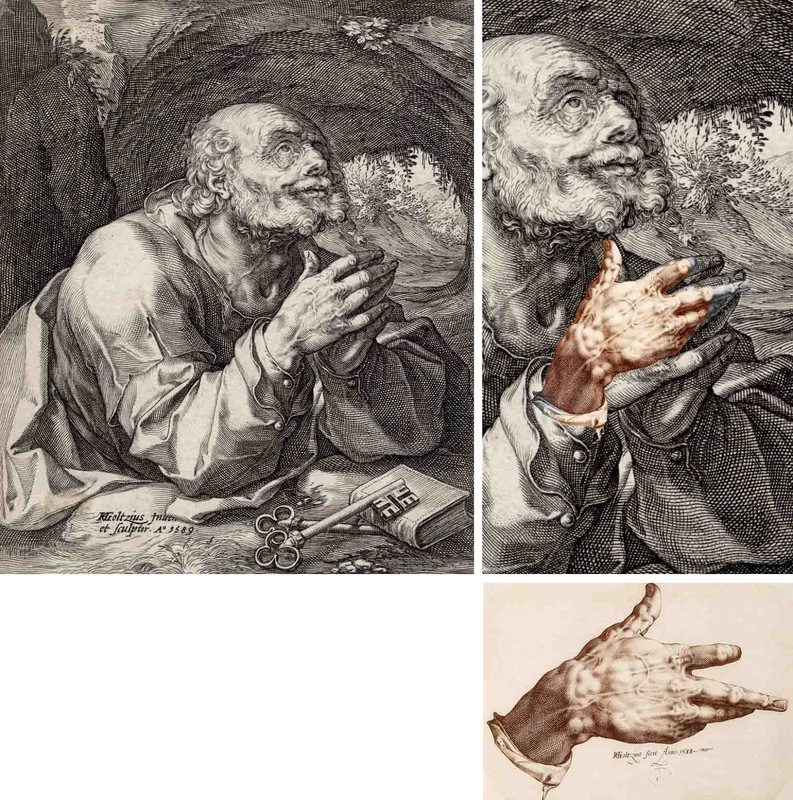 Of course Goltzius must have been passionate about his craft to devote so much time and discipline into an engraving such as this, but I need to propose that there is another factor in understanding Goltzius’ ability that I have never seen writers discuss: Goltzius’ deformed hand and how well his engraving tool (the burin) fitted his hand. 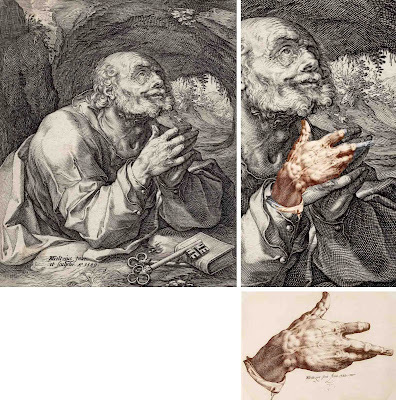 My understanding of the tragic circumstance that led to Goltzius’ hand to being deformed into an ideal shape to control the engraver’s burin was that he fell into a fire when he was a toddler and the badly burnt hand was bound in cloth as a way of attending to the burn. 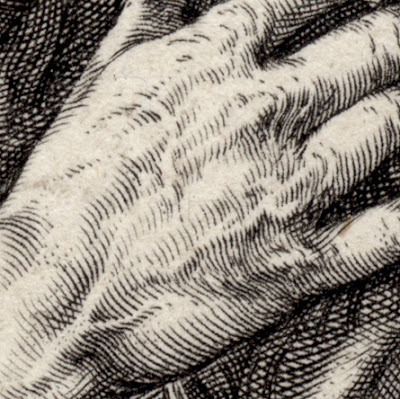 Sadly, the tight binding of the hand left Goltzius with a permanent deformation. 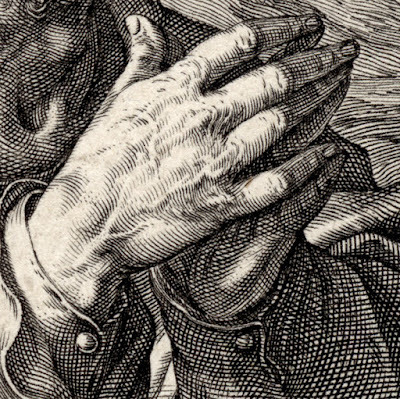 Although I may be misguided to believe that this particular deformation “helped” Goltzius to control the burin by the burin fitting perfectly within the shape of his hand and arguably avoid the debilitating affects arising from continuous pressure on the wrist—e.g. Tendinopathy (tendon injury), RSI (repetitive strain injury) and Carpel Tunnel Syndrome (compression of the median nerve)—it certainly did not hinder him.